Starbucks doesn't offer almond or coconut milk as a dairy alternative (just soy~ no thanks), & the Paleo-friendly(ish) store options just tasted bland to me. So, I made my own. It's wonderful... so much less guilty than my Starbucks "skinny vanilla latte" splurges, & way tastier than my plain black coffee with a sprinkle of coconut sugar. 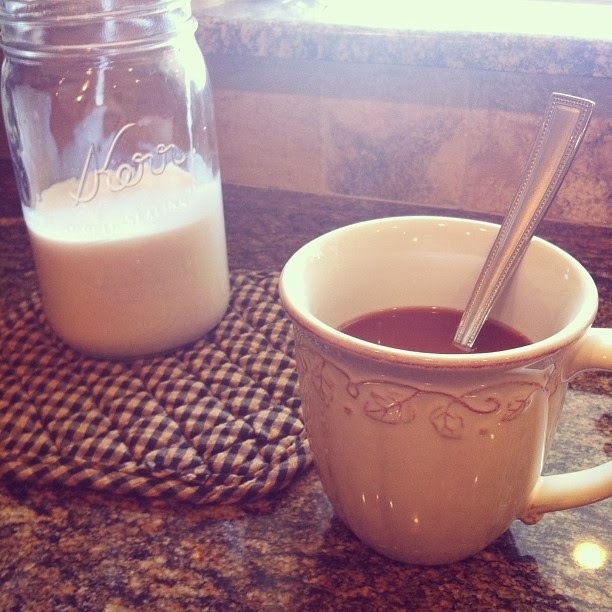 This coffee creamer is delicious~ & 100% Paleo. I went for Trader Joe's 'Light Coconut Milk', because they didn't have a non-light version. 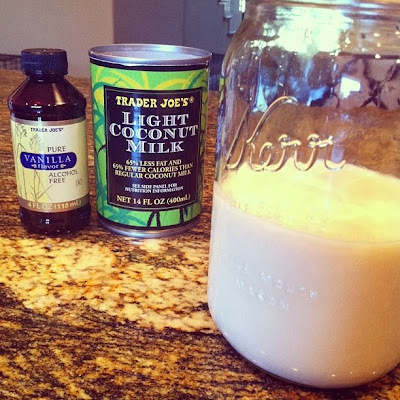 Light basically means that water was added to the pure coconut milk to cut down calories. 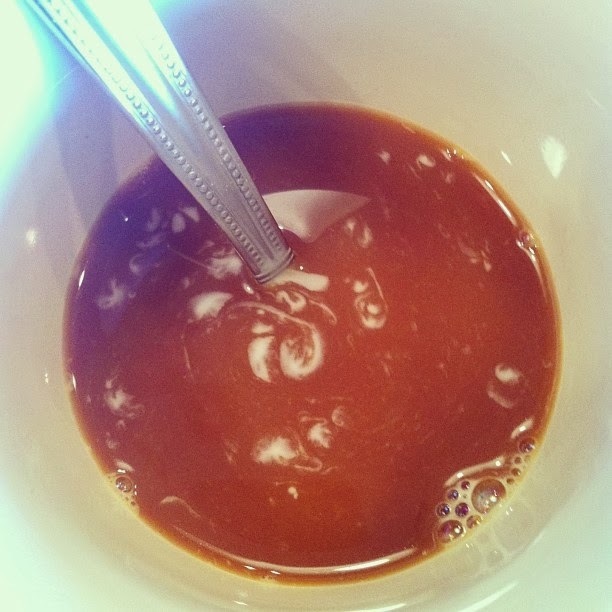 If you want a thicker creamer, don't choose light. Mine still turned out wonderful, & I guess I don't mind fewer calories! Also, I left mine unsweetened so that I could add coconut sugar or stevia to my cup when I wanted it. You can easily add it in to your mason jar & have it pre-sweetened if that's what you prefer! Add the ingredients to a mason jar & shake well. Shake before serving, & Enjoy! Sounds like a winner!!! Thanks for posting this; I need to switch to a restrictive Paleo and this looks like it's going to fit the bill! P.S. The Starbucks locations where I live offer almond milk, but it's not unsweetened. Boo! Darling coocnut milk cant be kept for long it might turn bad quickly so do take note. I use powered ones so whenever i need i just stir it up w water! Longer shelf life too! Yippee! I can finally drink coffee again! 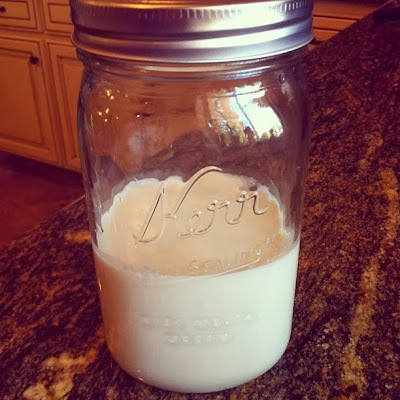 Ditto on your comment on using the lite coconut milk and it being a bit watery. It was all I had, and while fine, in the future I will usual regular.